Maggie Shea grew up sailing on Lake Michigan, where she learned to race on her grandfather’s boat. After racing 420s and Laser Radials in high school, Shea went on to compete for Connecticut College. As a team captain, she led her team to a 2nd place finish at ICSA Women’s Nationals and a 4th place finish at Women’s Singlehanded Nationals. During her tenure at Connecticut College, Shea was also recognized as an All-American Honorable mention in 2009, NEISA Sportswoman of the Year in 2011, and received the Connecticut College Brooks-Brown Award for outstanding leadership, scholarship, and sportsmanship. After graduation, Shea joined forces with former opponent, Steph Roble, to form Epic Racing—a professional match racing team. 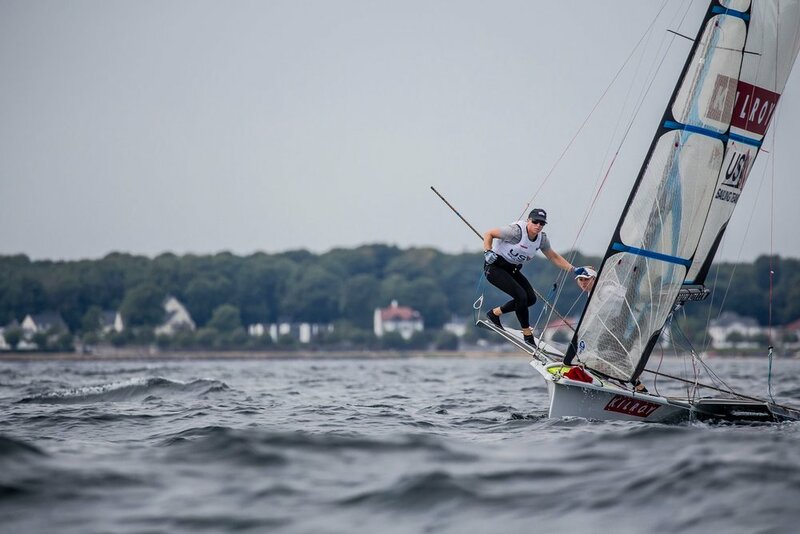 Together, they won a bronze medal at the ISAF Women’s Match Racing World Championships and the overall Women’s Match Racing series in 2014, with both sailors sharing the helm throughout the season. Shea also won both the U.S. Match Racing Championship twice and the U.S. Women’s Match Racing Championship twice crewing for four different skippers. In 2016, Shea crewed for Sally Barkow on Team Magenta 32, the first-ever all-women’s team to compete on the World Match Racing Tour. Shea was onboard when the team finished 3rd at the North American Championships in 2017. In 2017, Shea was named as a finalist nominee for the US Sailing’s 2017 Rolex Yachtswoman of the Year. Shea has been racing the 49erFX since 2014 with various teammates, but Roble and Shea have been on the 49erFX campaign trail together since fall of 2016. They recently finished 5th at the European Championships and have climbed to a ranking of 12th in the world.